The return of spring means it is time to once again get out and about in the garden and start making the most of your outdoor spaces. 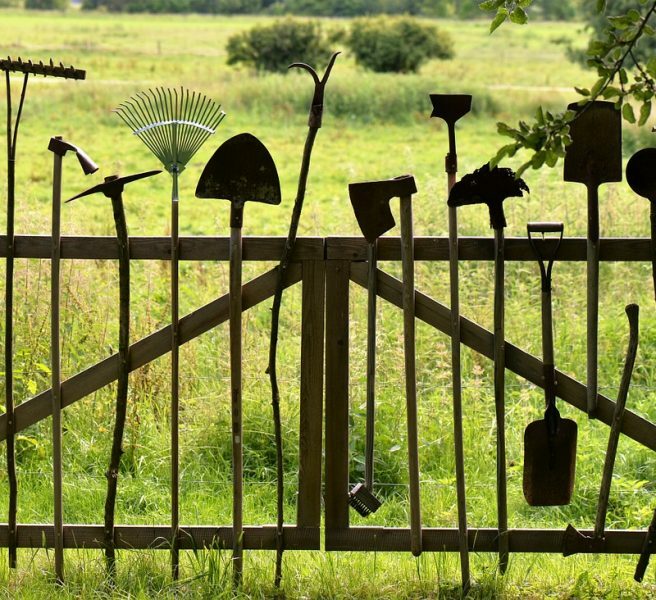 There are lawns to be mown, seeds and shrubs to be planted and, of course, equipment and accessories to be bought that will help you in your quest to create your own piece of paradise. Reviving your garden from its hibernation can feel like a daunting task. But what the green-fingered experts will tell you is half the battle is understanding how to achieve maximum results from minimum effort. One of the most important tricks to master is how to make basic resources do much of the hard work for you. Garden netting does not sound like the most glamorous of additions to your outdoor areas, but when used in the right way, this unassuming and affordable product can perform a number of important tasks, setting the stage for your garden to bloom in the months ahead. Here are four ways to make it work in your outdoor spaces. Climbing plants such as clematis, wisteria and honeysuckle can be used to fantastic effect to cover up walls, fences and unsightly vertical spaces, giving your garden a lush, verdant feel. Some varieties will climb any upright structure quite happily, but to encourage them to spread and grow tall, placing a simple mesh against the wall is advisable. Similarly, netting and garden mesh can be used to support tall plants. Some gardeners like to use netting to support sunflowers to help them achieve maximum height, while vegetable enthusiasts might make use of mesh to support beans and tomatoes. If you have a vegetable garden or an allotment, you will know that much of the growing season can be spent trying to ward off pests from your precious crops. While slugs require ground-based tactics, other threats such as aphids and butterflies come from the air. With the latter, the key is to stop moths and butterflies laying their eggs on your plants in the first place. Close-mesh netting can be an effective deterrent. Similarly, if you grow berry bushes, netting can be used to create fruit cages to stop birds snatching the fruit before you get a chance. If you have a fish pond in your garden, it isn’t just your berries that you need to think about protecting from the attention of birds. Predatory species can quickly wipe out a domestic shoal, so it is just as important to keep your pond covered too. Crop and pond netting ensures that essential sunlight and food sources in the form of insects get through to the fish while also preventing predators from getting near them. Mesh coverings can also help to keep debris out of your pond, especially towards autumn when leaves start to fall. Such is the versatility of mesh garden netting, it can also be used to build fences. Mesh fencing is a great way to section off areas of an allotment or vegetable garden into distinct growing spaces. Equally, at appropriate heights and with appropriate support, netting can be used to fence off larger spaces containing livestock.